Block ownshop.cf/ referral belongs to the caste of nuisances that plague website owners worldwide, known as referral spam. Though it’s not something dangerous and nothing that can steal your details, or harm your business and/ or computer, it’s still not a good idea to let it stick around. We’ve designed the below guide to help you remove Block ownshop.cf/ referral in a simple-to-follow, step-by-step way. But before you skip down to the guide, we believe it is important to educate our users about the issue they’re dealing with, in order for them to have a better understanding of them and to protect themselves from things like this more effectively. First of all, let’s break down what referral spam actually is. There are two types of referral spam: one is the classic type, and the other is what is called ghost spam. In the case of the former, spammers use bots and crawlers, to come visit your website and make you think there are actual visitors. The geniuses over at Google, however, have managed to catch on to this scheme and have sort of been able to maintain the instances of classic referral spam, keeping them to a minimum. In the case of ghost spam, which appeared later and as a result of Google’s great anti-spam actions, the use of bots was skipped altogether. Instead, the spammers just directly manipulate your data in Google Analytics, causing the impression of traffic on your website. What happens then is what is ultimately aimed at by the people behind all this: you see that your website has been repeatedly visited by another website and you get curious, so you head on to that website to check it out. Bingo. You’ve generated a real visit for their website, and that was all that was needed. Imagine that you are one of hundreds of thousands of victims of this one spammer. Obviously, not everyone will be equally involved in tracking their visitors and not everyone will pay attention to who passes by their website. But some portion of those people will notice the strange visits and will click back to the website in question, and that alone will have triggered a solid amount of traffic for the spammers. This will boost their ranking and popularity. So, let us get back to Block ownshop.cf/ referral’s impact on your personally. Like we said, it doesn’t pose a threat of any kind, however – it does have the tendency to mess up your statistics in Google Analytics. This will not affect your ranking and the visits will not be counted as actual traffic – just to be clear. But, the longer you take no action as to removing Block ownshop.cf/ referral, the further it will be distorting the picture you have of your traffic and visits. To anyone, who cares to ‘know’ their audience and deliver to it adequately, this should mean the world. For this reason we encourage anyone who has come face to face with referral spammers to get rid of them as soon as possible. Many users have been advised to use the Referral Exclusion List tool, which is a very useful tool in itself, just not for dealing with referral spam. In short, when you enter the spammers in the tool, GA will automatically try to follow up on those visits you’re complaining about, and because they never happened (in reality), GA will fail to find a source. So from then on, all those visits will start counting as actual traffic and this will severely meddle with your stats to the point, where you will have been better off with the spammers alone, than with this ‘helper’. So, say you follow the steps below and remove Block ownshop.cf/ referral, how do you ensure they don’t target you again? Know that the one thing mainly responsible for your exposure or lack of it to spammers, as a website, are the spam filters. Those are provided by the hosting company, which you are using. So, if this is some cheap company, then the quality of service they provide will likely also be cheap. That being said, we recommend you upgrade to a better-established hosting company, one with better spam blocking mechanisms and overall better security. 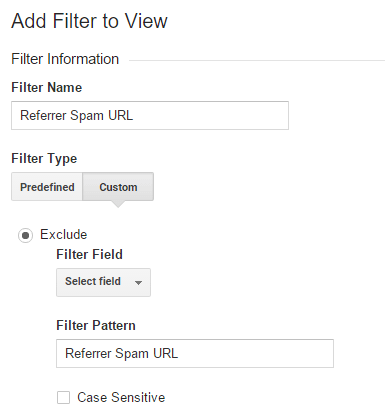 STEP 2: Next, click New Filter and add Block ownshop.cf/ referral in the Filter Name value. STEP 3. Select the Custom Filter Type. In the Filter Field —> Campaign Source. 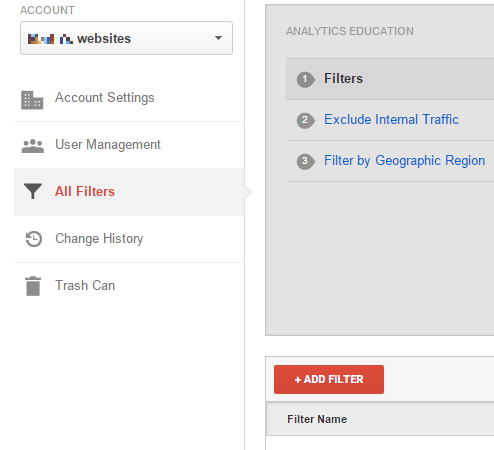 In the Filter Pattern text box, add Block ownshop.cf/ referral and click the Save button at the bottom of the webpage.